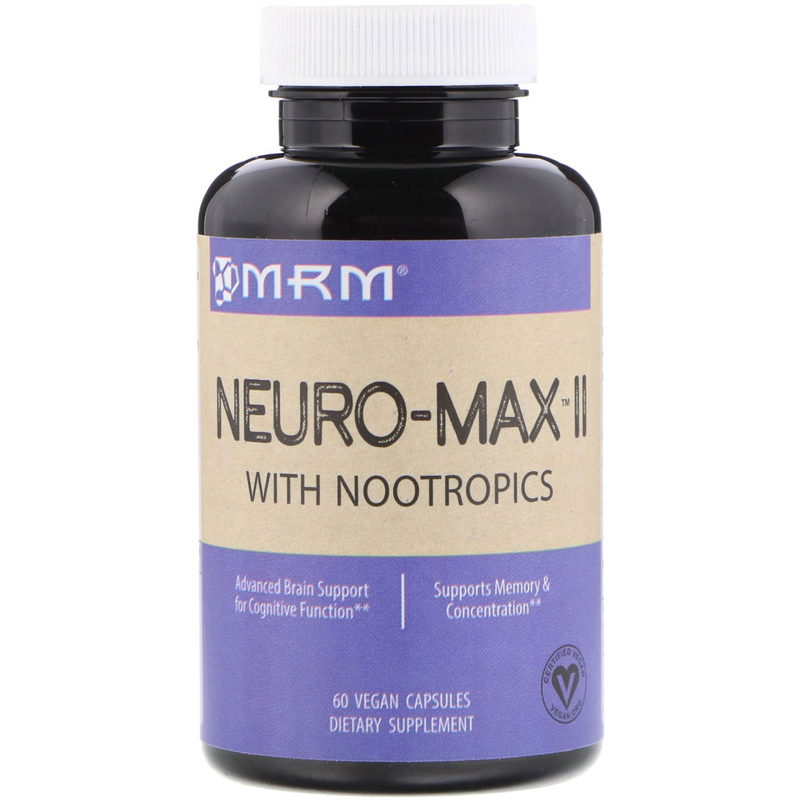 Neuro-Max II is a powerful formula with clinically proven nootropics, cognitive enhancing ingredients, which support different areas of brain health. 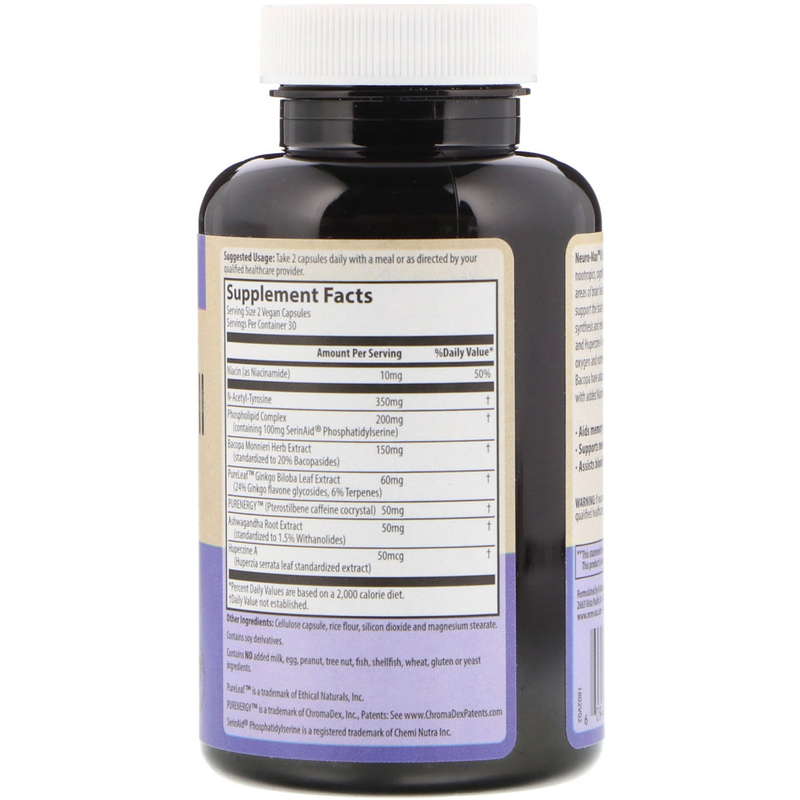 Phosphatidylserine and N-Acetyl-Tyrosine support the brain's communication system by increasing the synthesis and release of brain neurotransmitters. Ginkgo Biloba and Huperzine A have been shown to increase blood flow improving oxygen and nutrient delivery to the brain. Purenergy and Bacopa have adaptogenic and cognitive enhancing properties and with added Niacinamide (Vitamin B3) assist to increase energy. Cellulose capsule, rice flour, silicon dioxide and magnesium stearate. Contains no added milk, egg, peanut, tree nut, fish, shellfish, wheat, gluten or yeast ingredients.